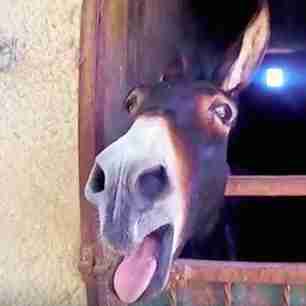 No one knows exactly how long Marty the donkey couldn’t move. Until just last month, Marty lived by a highway in the Murcia region of Spain. He spent all his time alone in a small plot of land and hadn’t seen another donkey for years. By the time a rescuer finally arrived to help Marty to his feet, it was clear that he could barely stand up. 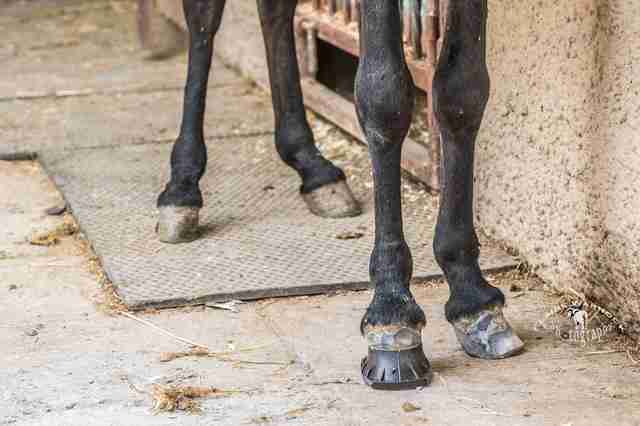 When rescuers looked at the ends of his legs, it was clear why: His hooves were horribly overgrown, forcing his feet into twisted positions. Marty couldn’t walk without pain. He was also malnourished from being fed just bread and garbage by his owner. 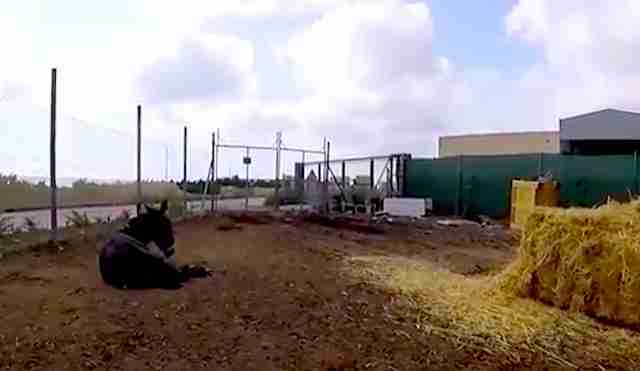 Police alerted local rescuer Rod Weeding, cofounder of Easy Horse Care Rescue Center (EHCRC) in the Alicante region, about this neglected donkey, and Weeding arrived to help him. Weeding managed to calm Marty and coax him to stand up. When he did, Marty walked out of his old home forever. Once he arrived at the sanctuary, Marty was given a bucket of fresh food. Once he realized there were other individuals like him around him, he started calling out to them — and he has quite a strong voice. At first, the Weeding wasn’t sure if Marty would ever be able to walk without pain. 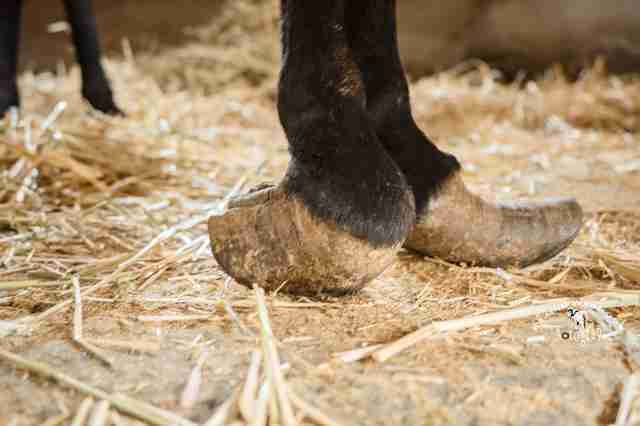 After the farrier came to trim his hooves, Marty’s prognosis went from uncertain to incredibly positive. But as excited as Marty is, he still needs time to heal. 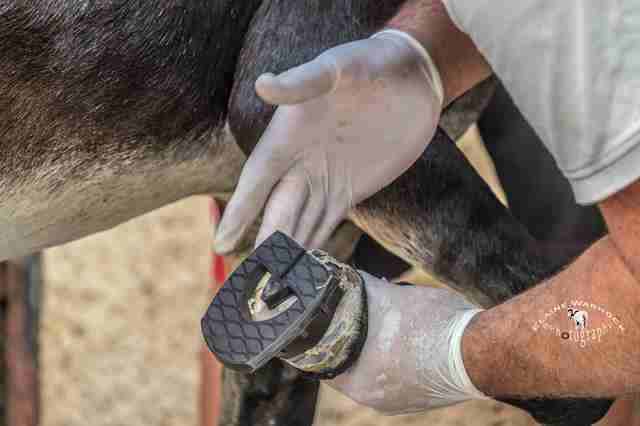 Marty is showing his rescuers that he’s even able to run — and he’s only on temporary plastic shoes while he’s recovering from such twisted hooves. 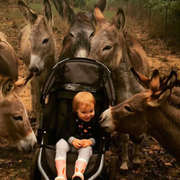 “He’s very, very determined when he sees another donkey or horse,” Sue Weeding said. “He gets excited and wants to be with them." Soon Marty will be ready for the bright, happy future he has ahead of him. "He will lead a completely normal life here at Easy Horse Care," Sue Weeding said, "as soon as we can get him out with his friends." 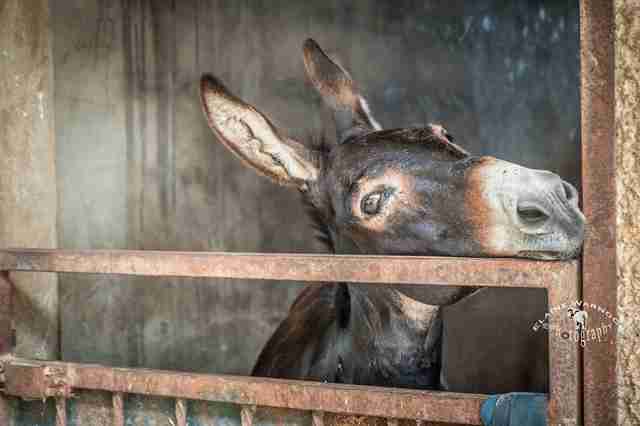 The people at EHCRC take care of over 120 rescued horses, ponies and donkeys who would have few options without the sanctuary. You can help support Marty and all his friends by making a donation.